Elsevier has placed a number of its political geography articles on Open Access, in a Virtual Special Issue on Russian Geopolitics. Most, but not all, are from Political Geography. Below is the text of my introduction to the Issue, which was written August 15th, 2014. It doesn’t attempt to summarize the essays made available so I would urge detailed inspection of these. Relations between the United States, the European Union and the Russia Federation have hit lows not seen since the end of the Cold War in Europe. With extensive Euro-Atlantic sectoral sanctions now hitting the Russian economy hard, and Russian counter-sanctions against Euro-Atlantic food producers causing considerable economic impacts in many states, most especially those closest to Russia, geopolitics has taken a seemingly sudden nasty turn. Only a few months previously, President Putin had hosted the world at the Sochi Winter Olympics and presented the world with a spectacular show of sports on snow and ice. Yet, less than a week after the conclusion of the games, he had authorized a stealth invasion of the Ukrainian province of Crimea and thereafter annexed the territory after sponsoring a hasty referendum there. Russia’s annexation of Crimea was the first time since World War II that one state had deliberately flaunted international law by unilaterally annexing the territory of another state. Shocking as the downing of MH17 and annexation of Crimea are, these dramatic events nevertheless have an important historical and spatial context we need to understand. That context is the subject of this virtual special issue of Political Geography on Russian Geopolitics. We are approaching the subject of geopolitics from a critical geopolitical perspective. There is nothing inevitable or over-determined about geopolitics. 1 We are in the realm of cultural constructions and power structures, historio-spatial inheritances and contemporary challenges, games of power and games of rhetorical performance. In this special issue we divide Russian geopolitics into two different categories, those that address Russian geopolitical culture and internal territorial governance challenges, and those that consider Russia’s geopolitical relations with its neighboring states. Since its start in early 1982 and from the original research agendas essay from the editors, articles in Political Geography (formerly Political Geography Quarterly) have engaged with the subject of Soviet (later Russian) geopolitics. Early papers concentrated on the US-Soviet Cold War confrontation including proxy wars while others harked back to the legacy of the Heartland model of Halford J. Mackinder, usually in a critical manner, which had been re-discovered by American strategists and more recently, by the journalist, Robert Kaplan. These papers are necessarily selective but they illustrate some of the themes of Russian geopolitics that have been represented in Political Geography and which are expected also to feature prominently in the future. 1. 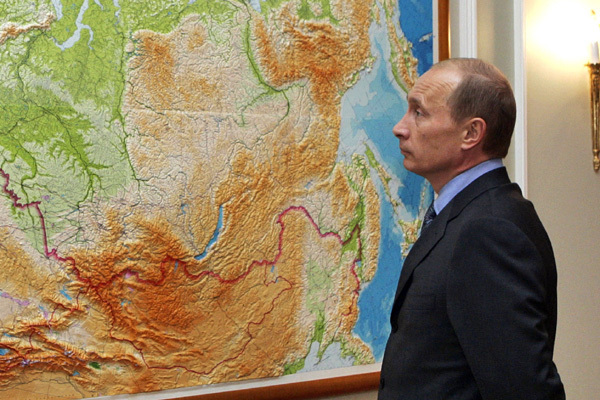 Russian Geopolitical Culture & the State. A geopolitical culture refers to a state’s identity in world politics, how it present and understands itself as a particular type of territorial state in the world of states. This culture has formal, practical and popular forms of expression. The most traditional and narrowest conception of geopolitics is as a form of grand strategy (geo-strategy) that accents the power of geographical givens. This is particular genre of writing that is preoccupied with war and worst-case competitive struggles between states. As a genre, it has thrived in post-Soviet Russia, with Alexander Dugin its most (in)famous proponent. Ingram’s essay provides an excellent introduction to his longstanding preoccupations. We have a series of essays that address the practical geopolitics, with attention on how leaders in the Kremlin have long had to struggle with territorial integrity questions. Geopolitics here is a question of geo-power, of preserving and strengthening the vertical of power binding the state’s different regions to the center in the face of separatism and, to Putin’s eyes, international conspiracy. Putin’s emphasis on the latter in response to Beslan in September 2004 revealed his suspicious mentality and the categories he would use to interpret the ‘colored revolutions’ and the EuroMaidan protests in the following decade. Conceived in the capital of imperial great powers, classic geopolitics tended to endorse a zero-sum competition conception of international relations, geopolitics as a great game. The return of this conception to dominance within Russian foreign policy is one of the themes of our time. Many essays in this Virtual Issue address the context of its emergence. 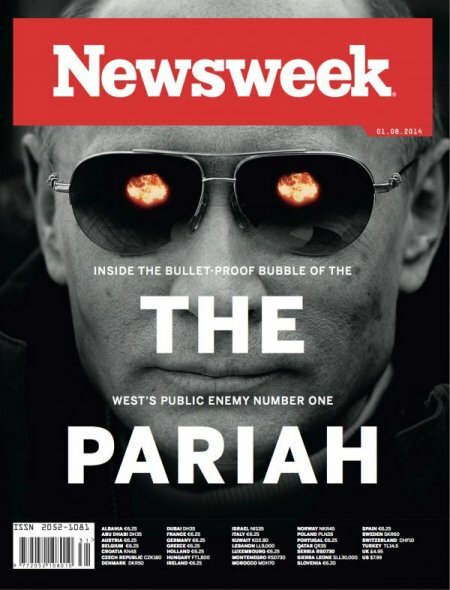 The story of Russian geopolitics may now be front-page news but it requires essays like these to grasp it with the intellectual depth and sophistication it requires. This entry was posted in Critical Geopolitics, Geography, Political Geography, Presidency, Putin, Robert Kaplan, Russia, state theory, World political map. Bookmark the permalink.